Ifu Ennada, Alex and Rico Swavey drops crazy pictures on Instagram (PHOTO). Former Big Brother Naija housemates, Ifu Ennada, Alex and Rico Swavey drops crazy photo on social media as Ifu Ennada host party to celebrate her Birthday and also launch her Hair Product, BeautIFU ENNADA. 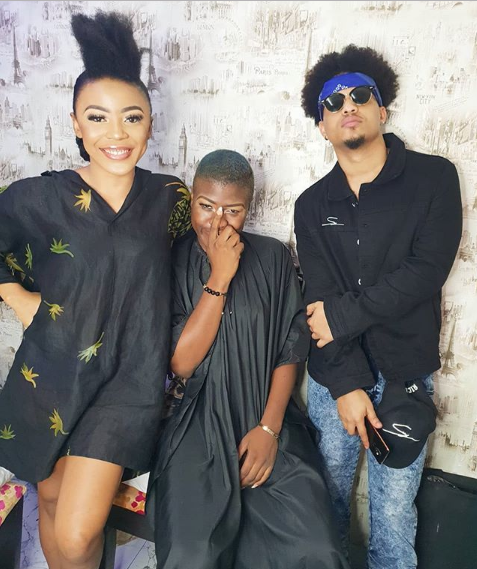 In the photo released on social media, Alex was unveiled her low-cut hair style, Ifu Ennada and Rico Swavey displayed their Afro style of hair to mark he August party by Ifu Ennada. Alex will be hosting the red carpet in a bit and Rico will be performing”. Stay connected for latest updates from big brother naija housemates.